Batholith Games, creators of city-build strategy game Empire Architect is introducing a new game, entitled Guilds of Delenar. 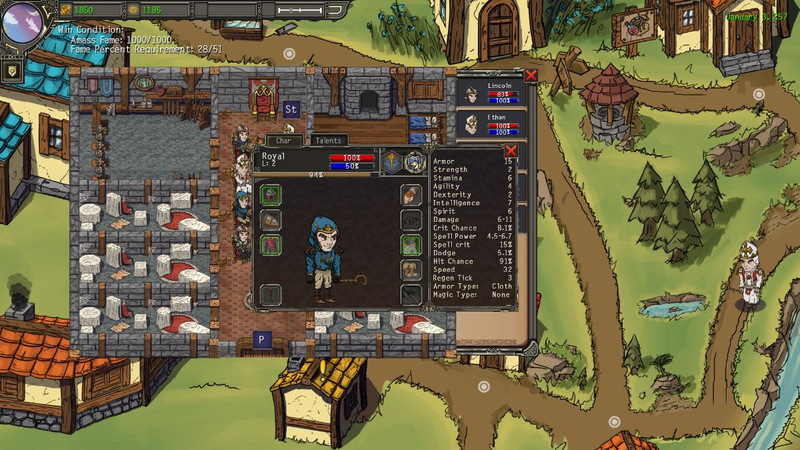 Guilds of Delenar is a guild management game with RPG elements and tactical combat, entering Steam Early Access in March 2019. It seeks to shake up the guild management genre with its top-down strategy game elements, letting players create and take control of guild heroes, and customize/level them up however they’d like. You can fight for control of towns by managing these heroes and their gear, as well as go on quests.